This entry was posted in Blog and tagged japan, Linen, linen ribbon, linnet. Lovely photo! The ribbons look delicious and so does the canvas. How exciting to have them right there, as the source of a new project – so many possibilities. I am already curious what you will sewing with them.Nice ribbons! I have been buying from Mayumi at Linnet for several years now, the linen ribbons are beautiful, I have just had an order arrive myself. 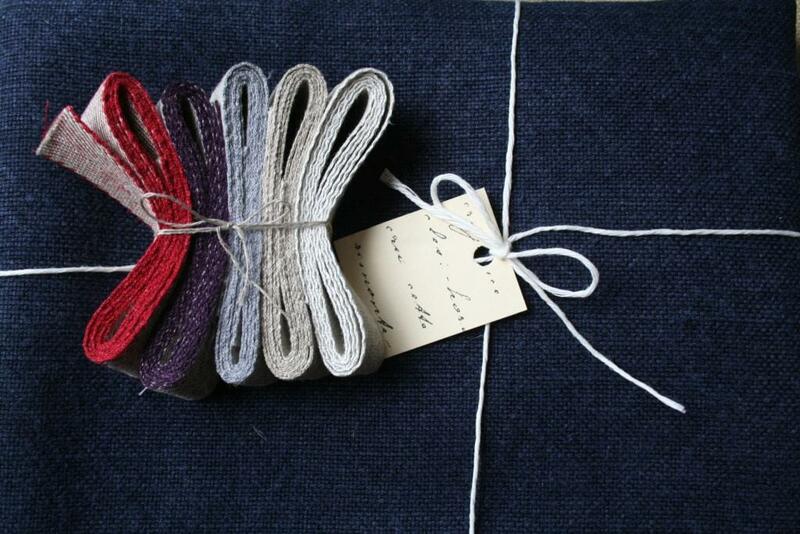 I use them as ties on linen cushions, apron ties, draw string ties on bags and many other things in my linen business. You cannot do better!